Researchers from Samara Polytech (Samara State Technical University) have announced an experimental semi-autonomous aeronautic marine device. The project manager, graduate student Alexander Mochalkin has named the device Glaideron. The researchers say the Glaideron combines drones of different functionality into a single design. The scientists say they plan to use technical features of surface and underwater gliders to solve the problems of hydrology, hydrography and hydrophysics. So far only an experimental model of the Glaideron has been made. 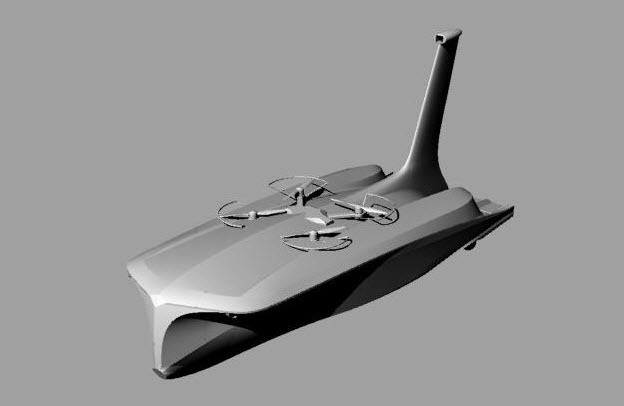 Scientists at the university have been engaged in developing autonomous water watercrafts for several years. The university is located is Russia's Volga Federal District. Early this year researchers from Samara announced the Oceanologist robot (pictured below). It is a robotics complex consisting of submarine and surface vessels.